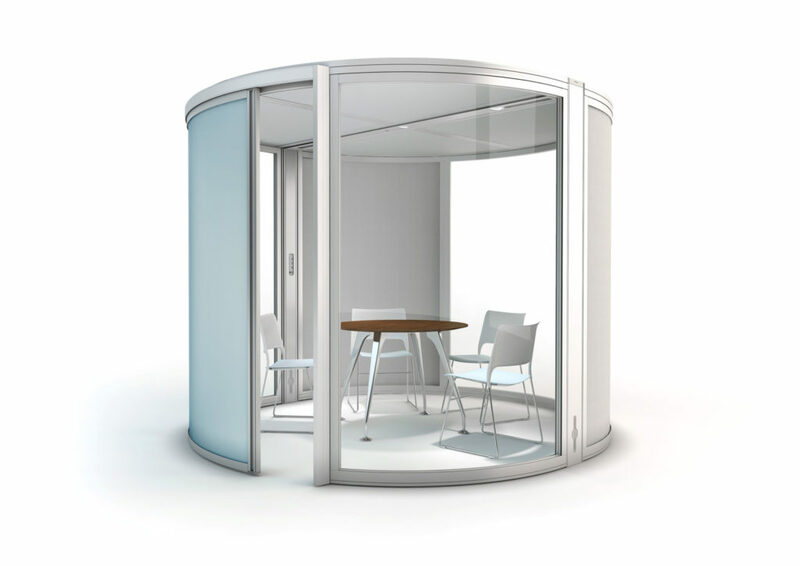 Circular acoustic pod with sliding door and ceiling which provides a quiet area for collaborative or individual working. 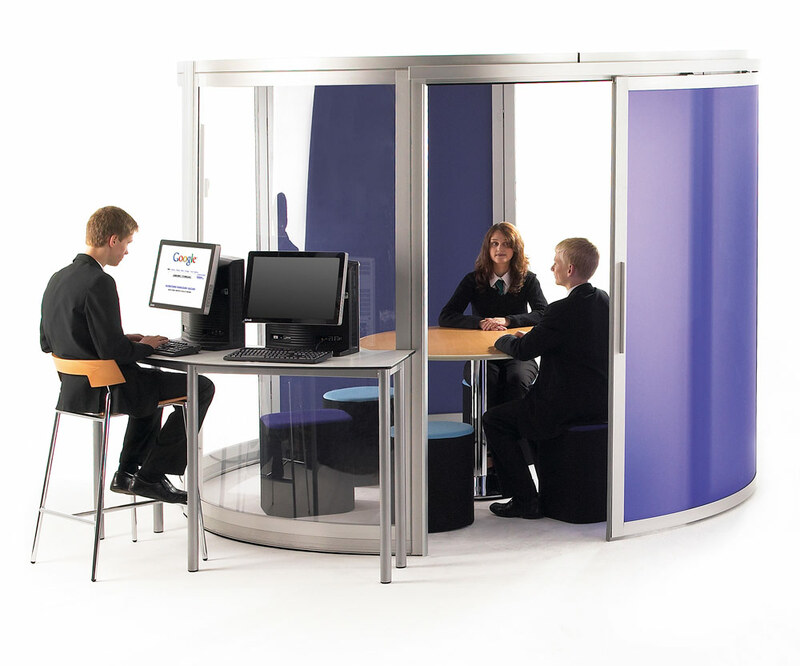 Central spine for power and data cabling enables exterior curve to be used as an internet touchdown point (with Crescent zioxi Student tables) and the inside for podcasting or ICT related work. 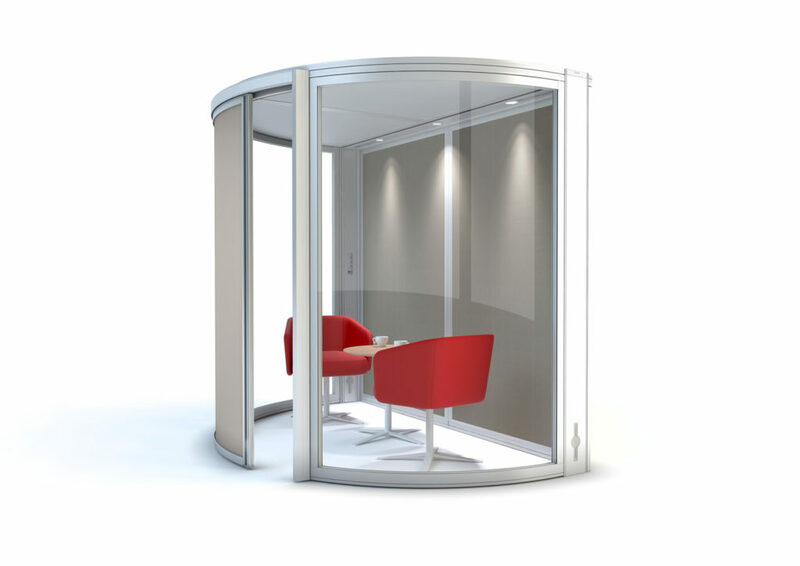 Other soundproof pod shapes & sizes available on request. 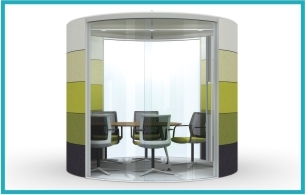 For open-plan learning zones and breakout areas.